Tacolypse was a FPS game created for booth (sponsored by collage, that I was studying at) at Poznań Game Arena 2014. 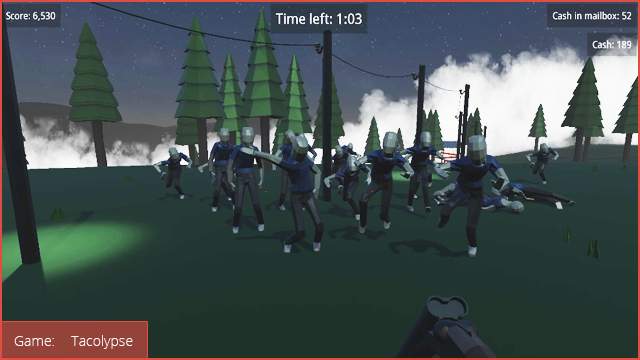 Player’s job, was to survive 5 minutes of waves of (taco)zombies. During this time, player could kill as many zombies as he could, earn coins for it and use those coins to buy ammo, health (tacos) and weapons. The game was made (mostly in C++) in less than a month, and it gave us a lot of fun and experience. Want to know, when I post something new? Just write down your e-mail address below and subscribe! Freedom Code – finalist already?